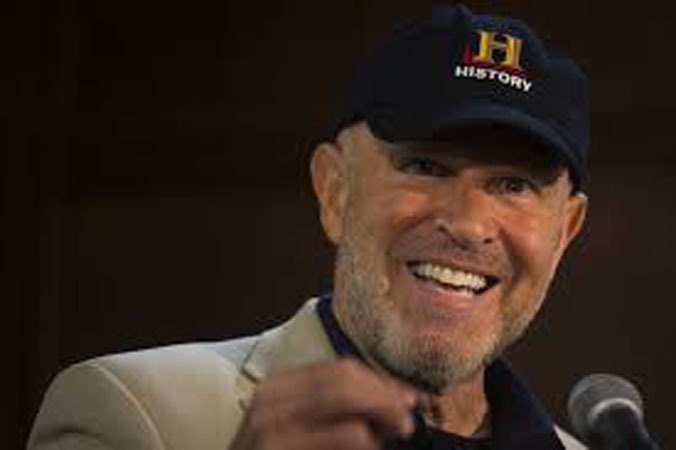 On September 10, the students in the Sandwich STEM Academy heard a fascinating presentation from undersea explorer Barry Clifford about his extensive career in locating and identifying pirate shipwrecks throughout the world. Mr. Clifford is best known for his discovery of the Whydah and the numerous artifacts and treasures from that famous pirate ship. He is the founder of the Whydah Museum in Provincetown and explained the complexities of discovering and preserving these historical items. Mr. Clifford and his research have been the subject of several television documentaries on the National Geographic Channel, PBS, the Discovery Channel and recently, on the History Channel. His new series is called “Pirate Treasure of the Knights Templar” and it premieres this weekend on the History Channel. He is also the author of several books on the history of pirates and shipwrecks. Mr. Clifford shared with the students the difficulties in searching for remnants of these important historical events. He faced his share of skepticism during his search for the Whydah, but was exonerated when he clearly produced the evidence for his discovery. Most recently Mr. Clifford has identified the remains of a ship in Madagascar as the one that was led by Captain Kidd. The 7th and 8th grade students were inspired by his presentation and many of them asked questions and are planning on doing additional research on these subjects. Mr. Clifford was warmly and enthusiastically thanked by the students and faculty for his outstanding presentation. One important lesson that he gave all our students is that these adventures require an interdisciplinary approach to problem solving. His work merged the fields of history, science and technology and involved experts in a variety of disciplines working collaboratively. He also demonstrated to the students a strong passion for his work that undoubtedly helped him succeed. Mr. Barry Clifford is a very engaging researcher who continues to make new and exciting discoveries around the world. We are very grateful that he took time out of his busy schedule to visit the STEM Academy and share some of these adventures.